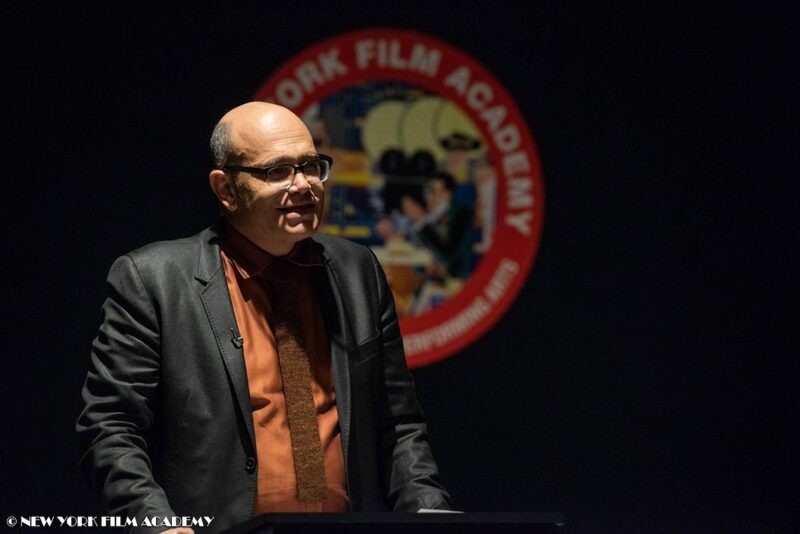 On Thursday, December 20, New York Film Academy (NYFA) hosted a guest lecture by producer, production attorney, and NYFA board member, Avy Eschenasy. Eschenasy is the principal of Eschenasy Consulting, which provides advisory services in connection with all business aspects of motion picture production, financing, and distribution. Previously, Eschenasy was a senior executive at Focus Features from 2002 until 2013, where he was Executive Vice President of Strategic Planning, Business Affairs and Acquisitions. Eschenasy is known for producing Indignation (2016), Casting JonBenét (2017), and A Prayer Before Dawn (2017). “That fee entitles [producers] to exclusively have the opportunity to buy the rights [to produce the book as a film]” said Eschenasy, “for a limited time period, usually 12 to 18 months” if the producer can find a production company or movie studio that wants to produce the optioned book as a film. If the producer can find a production company or movie studio that is interested in producing the book as a film, then they would pay the publisher an additional fee for the exclusive opportunity to produce the book as a film. That means that once Eschenasy purchased the rights to produce Roth’s Indignation, Roth’s publishing company was not allowed to sell the option or production rights to any other producers. Eschenasy went on to discuss turning the book into a screenplay. In order to get a book adapted to a screenplay, the producer must negotiate with a screenwriter, usually a member of the Writers Guild of America (WGA). In the contract with the screenwriter, the producer outlines fees paid for the first couple drafts of the script and many times will pay an additional fee if the film makes it all the way to production and distribution. 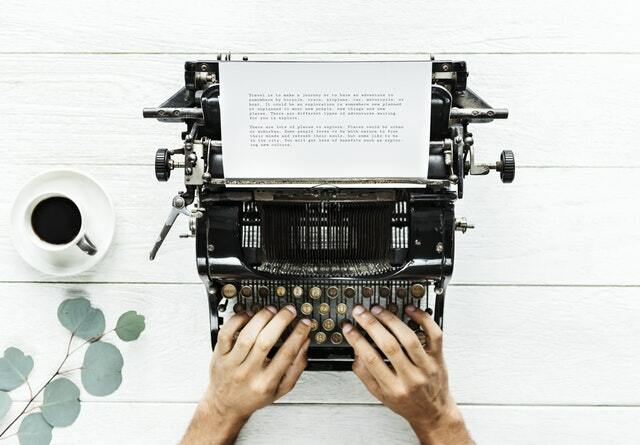 The fees paid to a writer also depend on how they are credited: for example, a writer that has written a script alone would be paid more than a writer that co-wrote a script with one or more partners. The budget is put together by a line producer and then the producer must try to raise that amount of money to make the film; with independent films like Indignation, this money is typically raised with “pre-sales” to distributors. A “pre-sale” is a contract between the production team and distributors that outlines stipulations that the production team must follow in order to secure financing from the distributor; usually the distributor’s agreement is contingent upon the producer promising a script and a known actor. A way to save money during production is to shoot in a state or a country with tax credits for film and television productions; because of this and a few other reasons, Indignation was shot in New York. For Indignation, a big part of the production “package” was the actor, Logan Lerman, best known for starring in The Perks of Being a Wallflower (2012). Eschenasy needed a name like Lerman to get distributors interested, but he also needed to make Lerman and his representatives feel confident in Indignation as a production; producers get actors and their representatives to trust their productions with contracts. The contract outlines the shoot schedule, the actor’s “billing” (much like the writer’s “credit” discussed earlier), the fee paid to the actor (including bonuses if the actor wins awards for the role), and perks if applicable. After all the negotiations and contracts were completed and all of the necessary funds were raised, Indignation went into production. Everything went well during the production phase and then it moved to post-production. Once the final cut of the film was finished, Indignation was entered in the Sundance Film Festival, where it was received very well by critics. Lionsgate Entertainment made an offer to distribute the film in the United States and Sony Pictures Entertainment made and offer to distribute the film to the majority of the international market. After all of their hard work, the Indignation production team got the film made, critically acclaimed, and distributed all over the world. 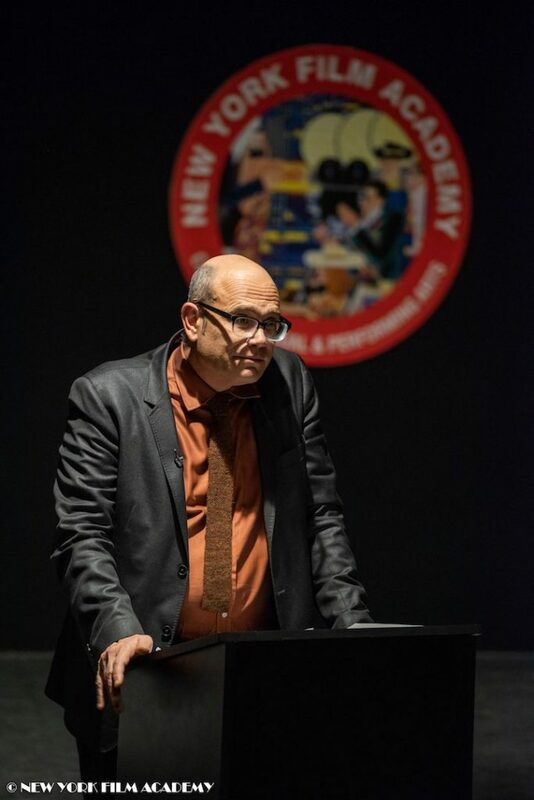 New York Film Academy would like to thank Avy Eschenasy for sharing his industry expertise and experiences getting Indignation produced with our students! How Does ‘Bohemian Rhapsody’ Fit the Biopic Mold? Bohemian Rhapsody, the story of rock band Queen and iconic frontman Freddie Mercury, has already won Best Drama at the Golden Globes and is a contender for Best Picture at the Academy Awards. It’s also the latest in a long line of biopics about famous 20th century musicians, including Ray, Walk the Line, La Vie en Rose, Get on Up, and Straight Outta Compton. Many biopics start with at least a scene from the subject’s childhood, and if they don’t, they usually at least include flashbacks. Bohemian Rhapsody is no different, giving us a look where Mercury is originally from. Biopics tend to distill the love life of their subject to one or two key relationships that define and drive the character’s motivations and keep them grounded as their fame and world explode. The focus around Mercury’s relationship with Mary Austin is prominent among the rest of Mercury’s several romantic partnerships, men and women alike. The real-life Austin approved the script but didn’t want to be involved in interviews or in any promotion of the film whatsoever. While some biopics avoid playing the hits of their subject due to expensive or inaccessible music rights, many rely on their iconic soundtracks as a huge selling point for the film. Queen’s hits are numerous, catchy, and famous, so of course Bohemian Rhapsody includes as many as it can. Indeed, much of the film is shot as if it were concert footage to mimic what it was like to be at an actual Queen show. Hollywood has no shortage of talented stars, so often casting a biopic depends heavily on physical looks–to help sell the idea that audiences are watching true events unfold. Rami Malek not only physically transforms into Freddie Mercury, but is a strong talented actor–it’s no surprise he’s nominated for Best Lead Actor at this year’s Academy Awards, especially after winning the Golden GLobe for his performance. Most biopics avoid naming themselves after their subject–that would be too on the nose. Instead, most go with a song title from the artist, often one of their bigger hits. This includes Beyond the Sea, Walk the Line, What’s Love Got to Do With It?, Get on Up, Coal Miner’s Daughter, and of course, Bohemian Rhapsody. So what’s next for the Hollywood biopic? Well for one, later this year in theaters we’ll see an Elton John biopic titled, naturally, Rocketman. In the meantime, we’ll find out soon if Bohemian Rhapsody is not only a hit biopic, but also this year’s Best Picture! Don’t you just love epic film endings that you never saw coming? These endings are the ones that stay with viewers for a long time and inspire talk about the movie and the reasons why the screenwriter decided to give the story such a mind-blowing plot twist. Building an unexpected ending in movie scripts is difficult, but can give a movie a lot of buzz and leave the audience breathless. It can be a fine line between a well-earned shocker of an ending and a contrived, seemingly desperate, last minute attempt to save a bad movie. Misdirection is a widely popular technique among screenwriters. The main purpose is to make viewers think that they have everything figured out before subverting their expectations entirely at some point, usually in the film’s climax. What could be better than gradually guiding viewers’ attention away from the real plot resolution and reveal it only at the end, right? Achieving an effective misdirection requires you to use some tools, including the following. Sleight-of-hand. Gradually bury clues to the real ending in preceding scenes where the viewers will be focused on something else. For example, many screenwriters do it during fast-paced moments such as fight scenes because the attention of viewers is focused on the action. Red herrings. This technique steers viewers in the wrong direction by planning false pieces of information and cues pointing in the wrong direction. Dead ends. Similarly, these wrong directions could lead nowhere and stop short, throwing the audience off balance — in a good way. Always keep in mind that you need to be as subtle as possible, so the viewers won’t notice you’re trying to steer them in the wrong direction, or so your writing doesn’t come off as heavy-handed. This isn’t easy — you’ll need a lot of time, energy, and focus, so schedule screenwriting appropriately so it fits into your daily routine. An effective way to generate a good twist at the end of the movie script is to look at it from an entirely new point of view – whether the ending would be uplifting or a downer. If your story has been more or less optimistic throughout the first 2+ acts, a downbeat ending can really gutpunch the audience. Conversely, if your script was mostly gloomy and bleak tale that finally offers its characters some hope or a happy ending, the audience can be overwhelmed with sudden relief and make their experience that much sweeter. Either way, you’re putting your audience through an emotional roller coaster. This is a simple but effective technique that could make a huge difference for your ending. Imagine that you’re a stranger reading your script cold. How would you react to the narrative? Is there a direction that you found yourself expecting the story to go? What other endings could you foresee for the plot and characters? Write down and make note of every potential ending you come up with, and then discard them all when writing your ending. The result would be an ending that one would never see coming before it’s revealed! Clearly, not all movies have happy endings. Not every character will achieve their goals or, depending on the story, may not even survive. Why not take the opposite route and subvert the viewers’ expectations by adopting the ‘no one is safe’ mentality? By killing off characters or having the plot take unexpected turns earlier in the screenplay, your audience will know not to take anything they’ve come to expect from typical Hollywood movies for granted. With everything unpredictable, they’ll just have to follow along for the ride, and wherever they end up could be a total surprise. These are just some of the ways to build your story to an unexpected twist ending. But, depending on the genre, your plot should usually come naturally from what your characters would do. Betray that, or any of the other core elements of a screenplay, and everything you’ve built could collapse. But if you navigate successfully between the lines and use the tips above, you could come up with a twist that movie audiences will be buzzing about for a long time after the lights in the theater come up! 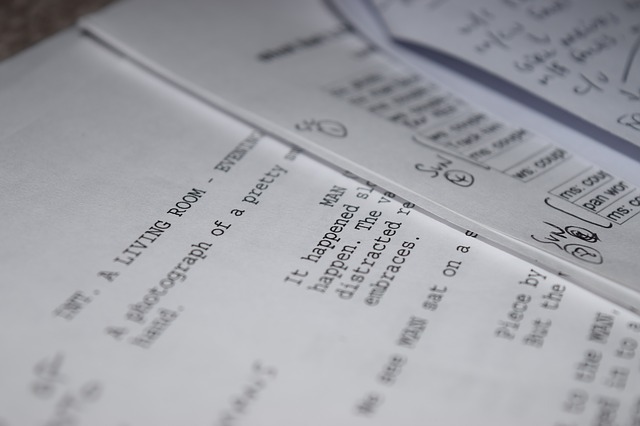 Interested in learning how to craft a screenplay? Check out more information on New York Film Academy’s screenwriting school here. Lucy Benton is a writing coach, an editor who finds her passion in expressing her own thoughts as a blogger. Currently, she works at A-Writer. She is constantly looking for the ways to improve her skills and expertise. Also, Lucy has her own writing blog Prowritingpartner where you can check her last publications. February is an exciting time to be a fan of film and television. The BAFTAs arrive early in the month to honor the top British and international contributions to the industry. At the end of the month we of course have arguably the biggest film celebration of them all — the Academy Awards. But right in between those two red carpet events, we get to recognize the best writing achievements of the past year. Below are some of the most notable winners from the 69th Writers Guild of America Awards, which took place Sunday Feb. 19, 2017. The award for best original screenplay has always served as one of the top honors of the awards show, and this year it went to “Moonlight.” This coming-of-age story by an independent team has been racking up an impressive collection of trophies and is nominated for eight awards at the Oscars next week. Fans of the sci-fi movie were no doubt bummed by the results at the Golden Globes. “Arrival” was nominated for best performance by an actress (Amy Adams) along with best original score, but won neither. But at the WGAs, “Arrival” earned one of the biggest awards of the night: best adapted screenplay. Things could get even better, as “Arrival” enters the Academy Awards with eight different nominations. Among those categories include best picture, best director, best adapted screenplay, and best cinematography. No one can deny the growth and influence of video games in the last few decades. As computer technology advances at a quick pace, so too does the ability for games to absorb us into virtual worlds. Now, video games are considered one of the best forms of storytelling since only they can offer choices, nonlinear narratives, and more. The big winner at the WGAs was Uncharted 4: A Thief’s End, an action-adventure game that follows a treasure hunter named Nathan Drake around the world. To many of us this win is no surprise, considering Naughty Dog’s reputation for providing some of the best story-driven games of all time. Other nominees were MR. ROBOT 1.51exfiltratiOn, Far Cry Primal, and Call of Duty: Infinite Warfare. The 21st Century Fox channel has once again proven itself one of the best producers of excellent TV shows. Three of their latest series left the WGAs with some of the best awards the night has to offer. While “The People vs. O.J. Simpson: American Crime Story” took home the adapted long form award, “Atlanta” won both best new series and best new comedy. “The Americans” also beat strong contenders like “Game of Thrones,” “Stranger Things,” “Better Call Saul,” and “Westworld” to win best drama series. What did you think of this year’s WGA winners? Let us know in the comments below! Interested in screenwriting? 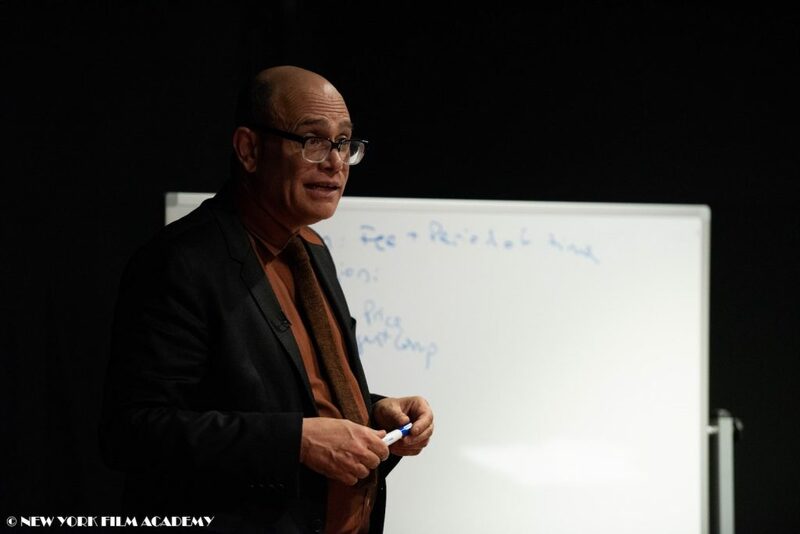 Learn more about the craft at NYFA’s Screenwriting School.